The 879EX DC Series are heavy-duty, high decibel, vibrating horn signals designed for use in hazardous locations. UL Listed for Class I, Division 1 and 2, Groups B, C, and D; Class II, Division 1 and 2, Groups E, F, and G; and Class III locations. 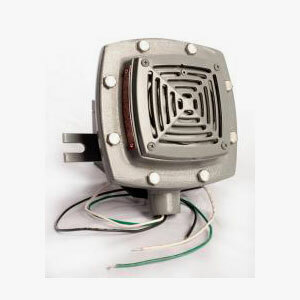 UL Listed for outdoor locations, NEMA Type 4X Rated.